Price is $9.00 + $4.95 shipping ($13.95 total). 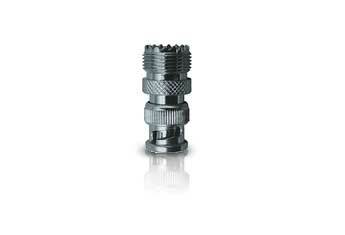 Add this to your antenna order and the calendar ships free! A vital accessory for any ham shack, this deluxe 12 month calendar will keep you on schedule while supporting amateur radio in North Central Wisconsin. 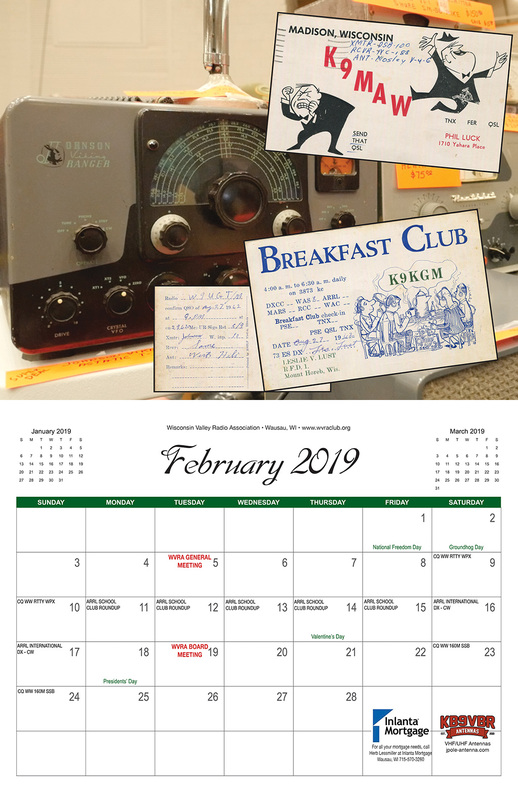 The Wisconsin Valley Radio Association 2019 Calendar is a fund raiser to help offset the costs of maintaining the repeater systems located in Wausau, WI and to help keep it free and open to amateur radio operators in and around the communities it serves. This year’s calendar features a collection of classic and vintage QSL cards from the 1950’s-1980, collected by the club’s station and members. Historic, funny, and thought provoking- you’ll be sure to enjoy this collection of vintage cards. Images of vintage QSL cards collected by WVRA members and the club station. Comprehensive list of popular contests, operating events, and QSO parties. 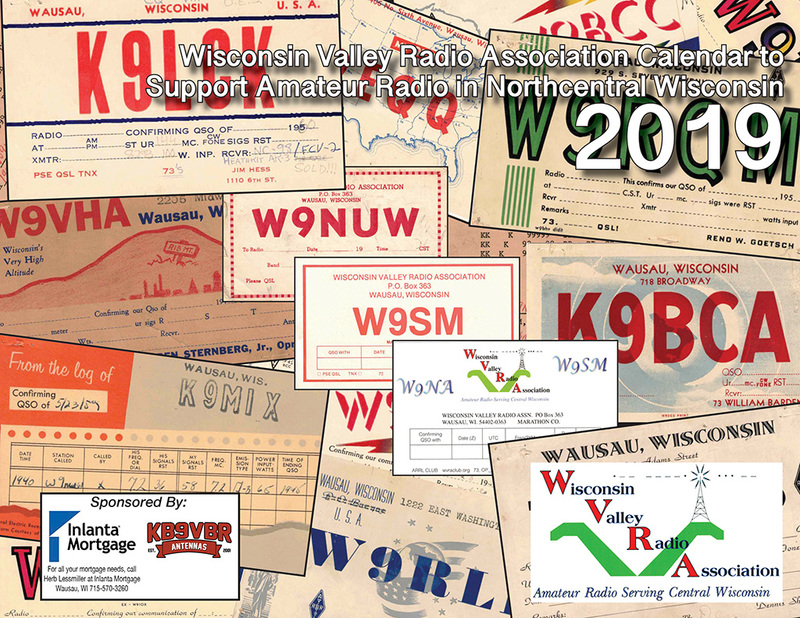 This year’s calendar features images from various amateur radio activities of the Wisconsin Valley Radio Association over the previous year. Printed in full color on sturdy paper with a UV coated cover, (11 x 8.5 inches) this limited edition calendar will delight you the whole year. 100% of the proceeds of this item (excluding the shipping costs) will go directly to the Wisconsin Valley Radio Association. KB9VBR Antennas is proud to support the WVRA and to provide a conduit to sell these calendars online. Be the first to review “2019 Calendar to benefit the Wisconsin Valley Radio Association” Click here to cancel reply.